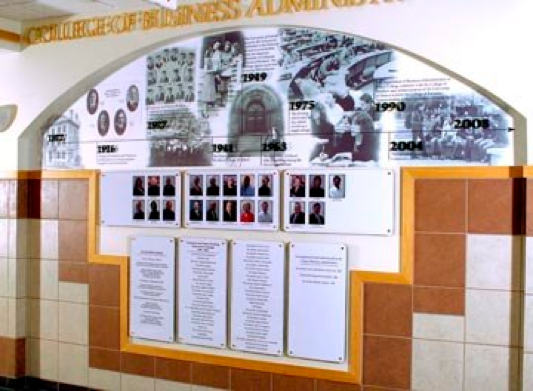 The University of Detroit Mercy College of Business Administration faced a unique challenge, they needed to do a historical wall, a current faculty listing and recognition for their original donors and their annual donors. To make matters worse, they had to work with an oddly shaped wall. The finished design combines all these elements and delivers a great visual display.